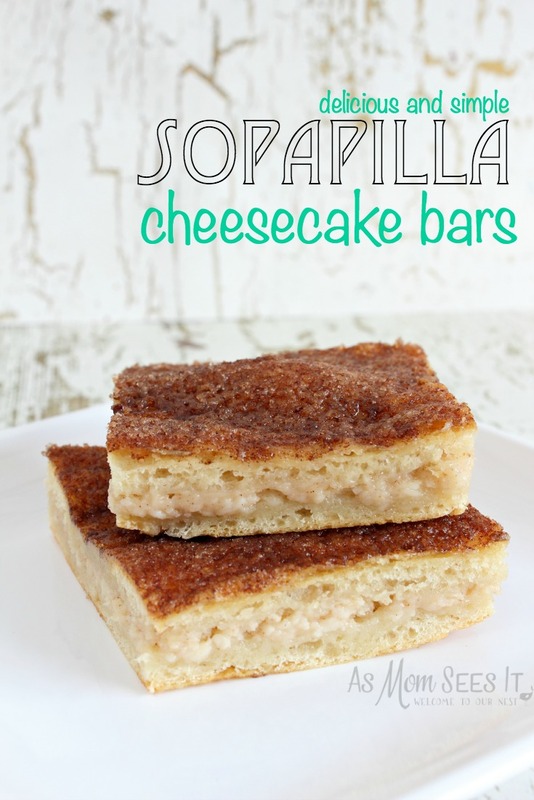 I’m not a huge fan of cheesecake, but I would write love letters to these Sopapilla Cheesecake Bars. They’re heavenly! They remind me of an inside out cinnamon roll. A perfect mix of creaminess and flavor that is so amazing, everyone will be asking you for the recipe. Just don’t tell them how absolutely simple it is to make – it can be your secret. In a mixing bowl beat 8 oz. of cream cheese with 1 ¼ cups of sugar until smooth. Add in 1/2 cup of sour cream, ½ teaspoon of cinnamon and 1 teaspoon of vanilla extract. Stir ingredients until combined. Set aside. Unroll 1 sheet of crescent dough and press into a lightly greased 9×13 inch pan. Be sure to bring the edges up the sides of the pan. Spread the Cream cheese filling evenly over the dough. Unroll the second sheet of crescent dough and lay over the filling. Press down gently along the edges. Pour 1/4 cup of melted butter over the top and spread over the dough evenly with a brush. 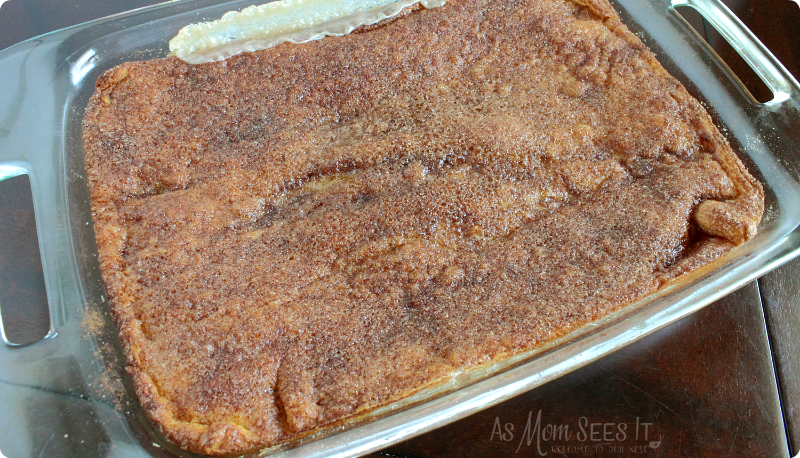 Combine remaining 1 tablespoon of cinnamon with remaining ¼ cup of sugar and sprinkle evenly over the top. Bake at 350˚ for 25-30 minutes. Let cool to room temperature then refrigerate at least one hour. Cut into 12 pieces and serve. 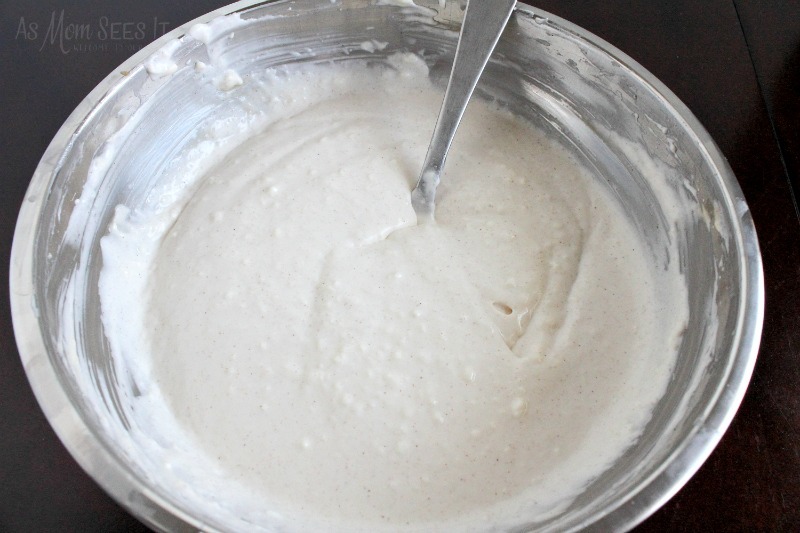 In a mixing bowl beat the Cream cheese and 1 ¼ cups of Sugar until smooth. Add in the Sour Cream, ½ teas. Cinnamon and Vanilla stir until combined. Set aside. Unroll 1 sheet of Crescent dough and press into a lightly greased 9x13 inch pan, bring the edges up the sides of the pan. 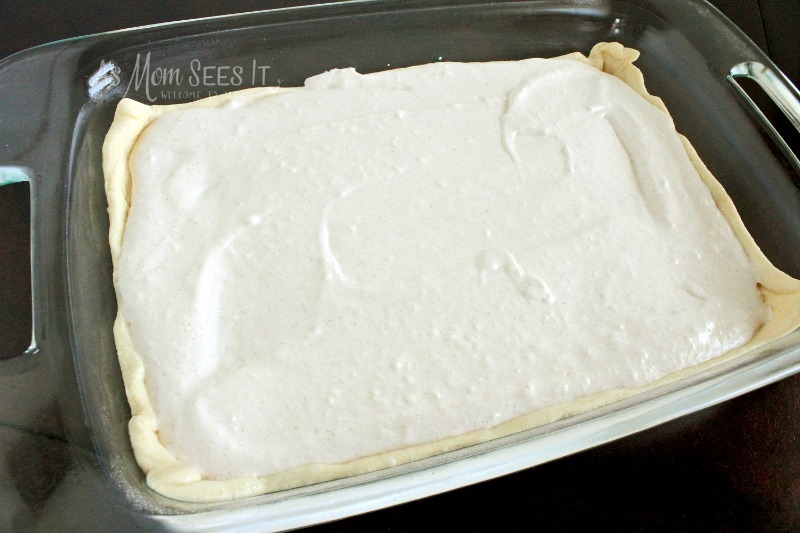 Spread the Cream cheese filling evenly over the dough. Unroll the second sheet of Crescent dough and lay over the filling. Press down gently along the edges. Pour the melted butter over the top and spread over the dough with a brush. Combine the 1 Tbsp. 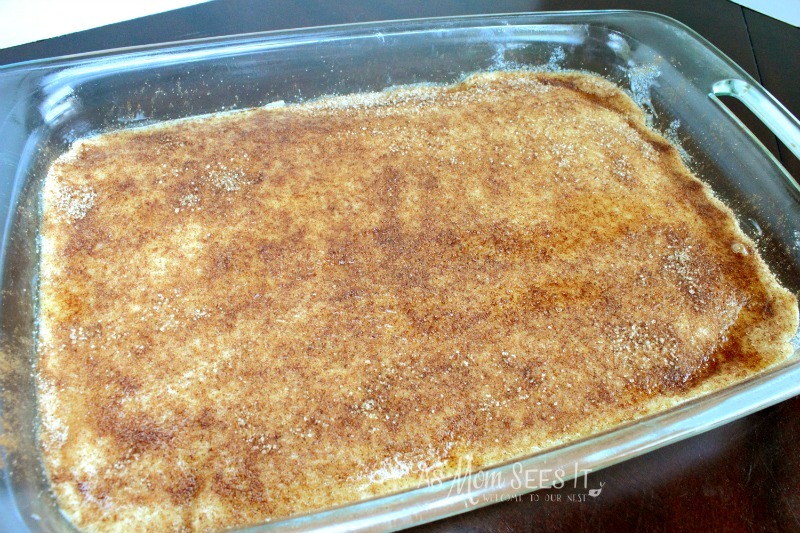 of Cinnamon with ¼ cup sugar, evenly sprinkle over the top. Bake at 350˚ for 25-30 minutes. Let cool to room temperature then refrigerate at least one hour.